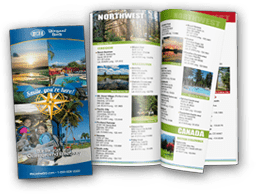 Florida Keys campgrounds are located throughout South Florida’s chain of islands, offering a variety of Florida Keys camping sites to choose from. There are many recreational activities and events happening in the Keys, from Key Largo - the very first of the islands - to Key West, the very end of the chain. Whether a restful and relaxing vacation is in order or a busy and boisterous adventure is appealing, the campgrounds and camping sites of the Florida Keys have a local flavor all their own. One of the major highlights of a Florida Keys camping trip is the vibrant and expansive coral reef, a place where novice and advanced divers come to explore. The Keys are also home to several excellent fishing spots, where charter boats take guests out to sea for the angling adventure of a lifetime. Located near all Florida Keys campgrounds are beautiful, sandy beaches and tranquil blue-green waters where an abundance of natural wildlife is waiting to be discovered.